Brought to you by Fairyhouse Racecourse. Huge jumps, shocks, historic moments, winning and losing – that’s what the Grand National is all about and that’s why we all love it. For one day a year, everyone starts bluffing their way through conversations about jockeys or trainers. Offices all across the land will spend the week organising sweepstakes and flaunting HR’s rules about betting in the workplace. If you’re anything like us, you’ve already pulled a 150-1 outsider out of the hat. It’s also the only time your granny ever bets on a horse race, because it doesn’t really count as gambling when it’s the Grand National. 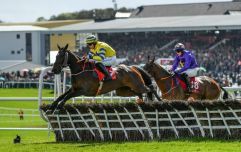 The Boylesports Irish Grand National takes place on Easter Monday and it’s the highlight of Fairyhouse Easter Festival, which runs from Sunday, 16 April, to Tuesday, 18 April. The Grand National is always a fantastic spectacle so imagine how exciting it would be to actually be there on the day. Well, we're offering one lucky person two Arkle hospitality packages and a stay in the 4-star Dunboyne Castle on Monday night. It’s a great chance to soak up the atmosphere, catch some amazing races on the day and potentially win a few quid! The winner will get two Arkle hospitality packages for Easter Monday. That includes a three-course buffet meal, a reserved table for the day, a pre-race tipster, live music after the racing and much more. The winner will also get bed and breakfast for two at the stunning Dunboyne Castle on Monday night. To be in with a chance, simply answer the question below and fill in your details. 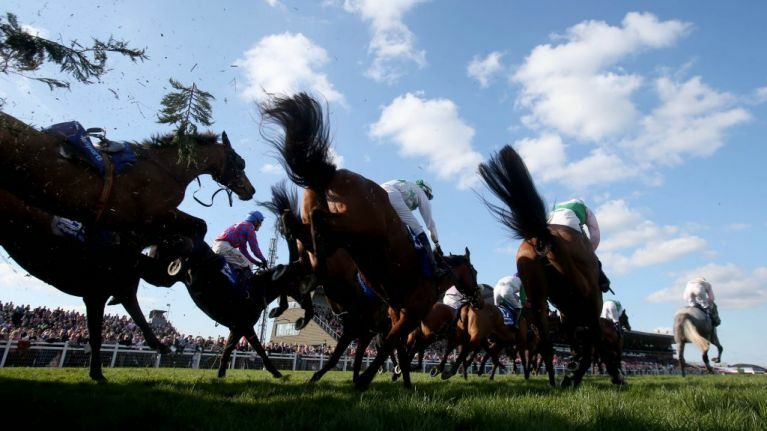 Thousands will attend the Boylesports Irish Grand National at Fairyhouse on Monday. As well as a fantastic day of horse racing, there will also be live music in the hospitality section and the Most Stylish Lady competition is being held on the day. Check out the Fairyhouse website for more information on the racing and find out more about Dunboyne Castle here.